On February of 2016, a 46 year-old delivery driver pulled into a plaza in Wappingers Falls at about 7:00 a.m. to deliver pizza ingredients to a chain restaurant. It was precipitating and the parking lot was very icy. 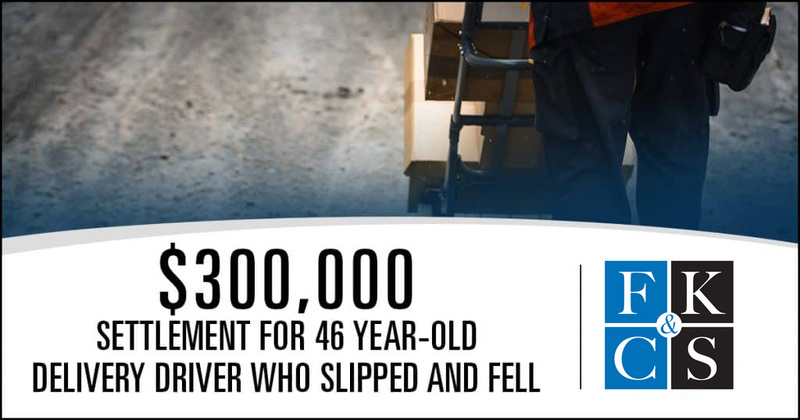 As he exited the truck to get salt from the side of his truck, he slipped and fell. He sustained a shoulder injury (rotator cuff tear) requiring an arthroscopy and was out of work for ten months. The property owner believed they had acted safely by hiring a top-notch local plowing company. The plow company had records that they had been at the premises salting just hours before the man fell. 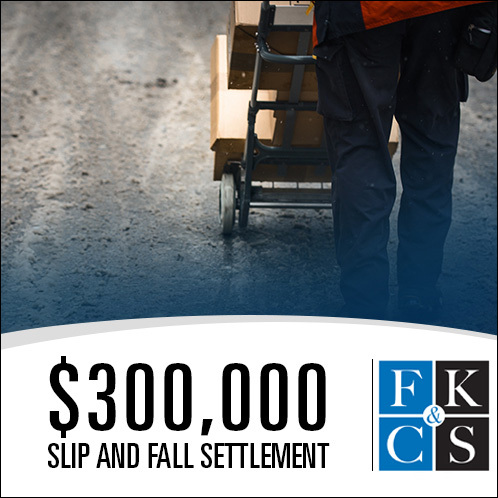 Both defendants admitted that the property was in a dangerous condition at the time of the fall. The case settled for $300,000 after a mediation and shortly before trial.